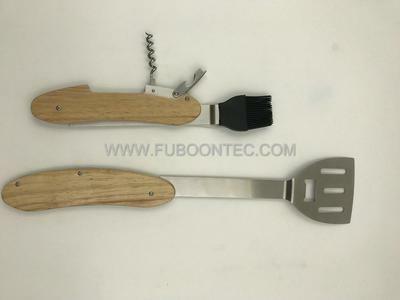 The BBQ Multi-tool is designed to separate into 2 separate tools through a sliding system. This way you can use a fork in one hand and the spatula in the other to tackle the grilling like a pro! Perfect for camping trips, RVs, tailgating, backyard grilling, picnics at the park, hunting camps, and small apartments. Its portable size allows you to easily take it anywhere. Thanks for alerting me to this 5 in 1 tool - it looks extremely versatile. Until we have the opportunity to test the tool we're happy to allow you to draw our readers attention to it but we cannot endorse it. If you'd care to send us one to test then we'd be happy to offer our opinion. Join in and write your own page! It's easy to do. How? 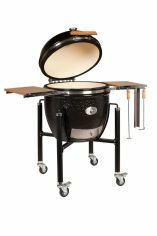 Simply click here to return to Barbecue Equipment Review.